Each new member to our club gives a "classification talk" to tell other members something about his or her life and work. Don met his wife Pat in NYC. After getting married they moved to Seattle where he took a job as a civil engineer. He worked on public agency building projects, the carrier base in Everett, and a fish hatchery project. Don’s hobbies are photography, mountaineering (climbing Mt. Rainier 13 times), and skiing. They travel extensively throughout the world. On a cruise from Istanbul to Rome they met the Joneses from Australia and became great friends, taking other trips with them. Now married 30 years, they have 3 children and 5 grandchildren. 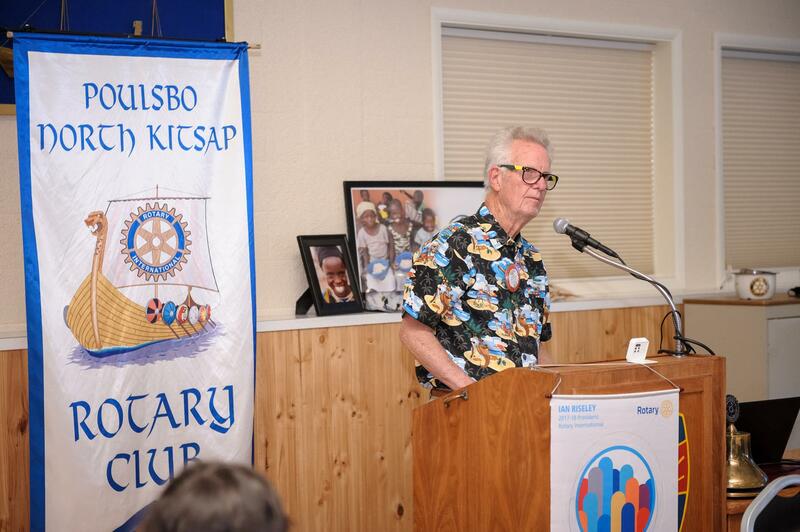 He joined Rotary to financially support Rotary’s work and be involved in local activities.